Portland’s sports teams show what good sports they are by fundraising for hurricane and wildfire support! Portlanders are sports fanatics. Whether you’re looking for hoops action, football (that’s soccer to us American types), baseball, or even ice hockey, Portland’s got a team for you. Portlanders aren’t just fanatics for sports, though, we want to help wherever we can, and our professional teams are no different. 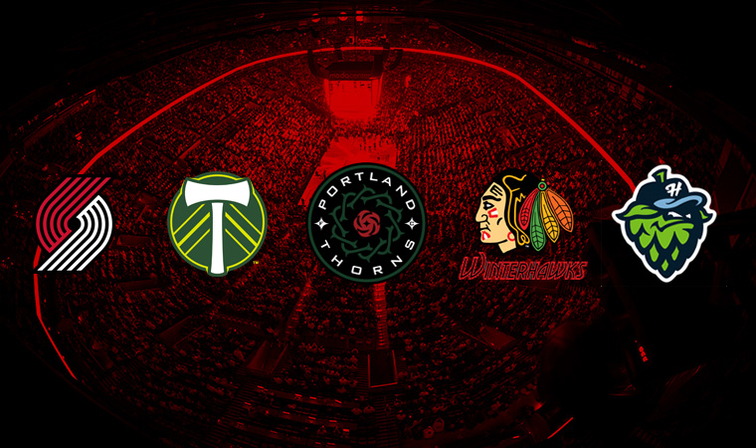 The Trail Blazers, Timbers, Thorns FC, Winterhawks, and Hillsboro Hops recently announced they’re combining efforts to provide disaster relief in Oregon and throughout the country. We love it when a plan comes together, and Portland’s teams are putting together a good one. All five teams are joining forces to help victims of Hurricane Harvey and the Eagle Crest Wildfire. Team spokespeople say they’re also preparing to provide assistance for the potential impact of incoming Hurricane Irma in Florida. The teams are kicking off their support by hosting blood drives over the next few days and plans for each team’s fundraising efforts will be announced in the coming weeks. Wednesday, September 6, 2017 – Hillsboro Hops – 11:30 a.m. to 3:00 p.m.
Thursday, September 7, 2017 – Portland Timbers and Portland Thorns FC – 80 appointment slots from 9 a.m. to 3 p.m.
Friday, September 8, 2017 – Portland Winterhawks – 7:30 a.m. to 1:30 p.m.
Saturday, September 9, 2017 – Portland Trail Blazers – 100 appointment slots from 8 a.m. to 2:30 p.m.
Know any others organizations planning to put on philanthropic fundraisers? Post the details in the comments!